Nestled within the heart of the county, sparsely and largely untouched by the pressures of the modern age, the Kent Downs are home to some of the most enchanting countryside in southern England. This book unravels the history of the area's settlement and colonisation, the inspiration it has given to poets, artists and authors, and the legacy of its rich and varied natural treasures; the rare and the commonplace; the peculiar and unique, the mysterious and the haunting. Having spent most of his life living and working in the countryside of the Kent Downs, Dan Tuson offers an intimate and inspiring exploration of this unique landscape. He is a regular contributor of articles and photographs to The Orchid magazine of the Kent Downs Area of Outstanding Beauty organisation, many of which have been included within the book and illustrated with the beautiful artwork of fellow contributors to The Orchid, Angel Design. Richly illustrated with over 100 stunning photographs in colour and monochrome, the book is a tribute to the many who have found solace and inspiration in the Kent Downs and will appeal to all those who visit, work or live in this cherished part of the county of Kent. Aims to capture growing public interest within the Kent Downs as a special and cherished landscape of Kent. This book unravels the history of its settlement and colonisation and the legacy of its varied natural treasures that define its special characteristics; the rare and the commonplace; the peculiar; and the mysterious and the haunting. 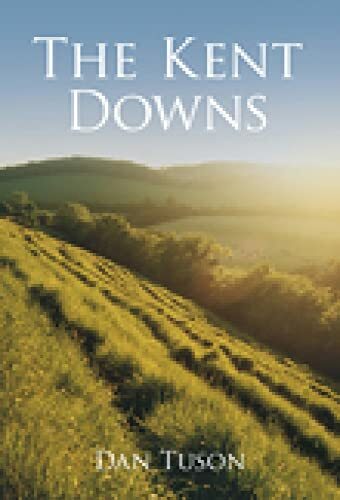 The book aims to capture growing public interest within the Kent Downs as a special and cherished landscape of Kent. It unravels the history of its settlement and colonisation and the legacy of its rich and varied natural treasures that define its special characteristics; the rare and the commonplace; the peculiar and unique; the mysterious and the haunting. Richly illustrated with around 100 stunning photographs in colour and monochrome, the book is a tribute to the many who have found solace and inspiration on the Kent Downs and will appeal to those who live, work or visit the area.